Over time, the mSupply client may not function as expected. There are a variety of reason for this. Bad network connection to the server may have corrupted critical files during transfer. Unstable hardware may have shutdown un-gracefully or crashed damaging files. There may have been a virus issue. Below is an image of one of many symptoms that the user may notice. mSupply client generates and stores it's configuration in files and folders. Theses files are safe to delete as they will be re-created by the mSupply client when it is started. So let's assume that one of the files have been corrupted and that we need to delete them. Make sure the mSupply Client is not running. If it is running, quit out of it. 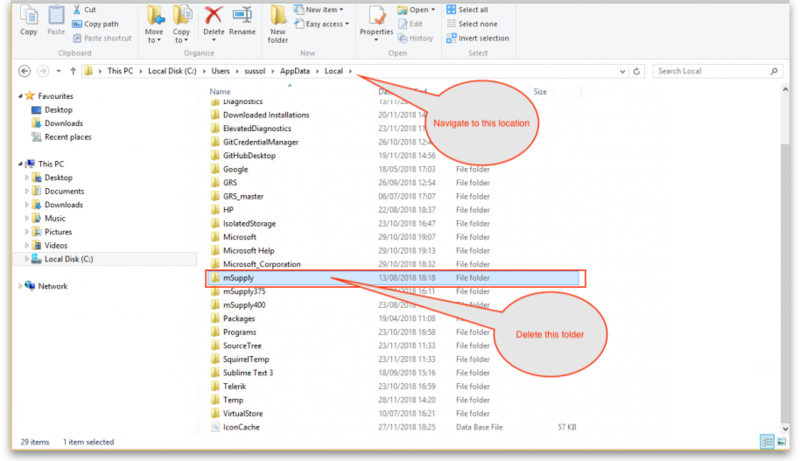 On windows : Navigate to c:\Users\SomeUser\AppData\Local, Then delete the “mSupply” folder. Note: SomeUser will be the Windows account name. In the example here, the Windows account name is Sussol. 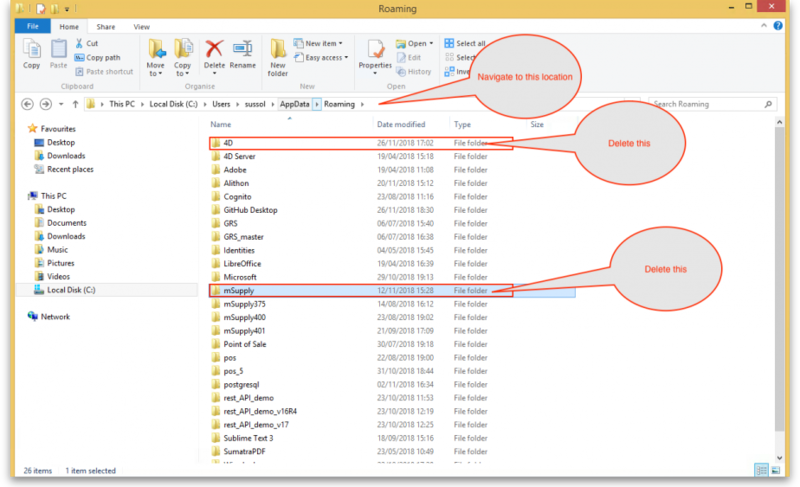 Please note that the “AppData” folder may be hidden, so enable your file explorer to view the hidden folder. Finally Restart the mSupply Client.